My friend Tony Morgan has a brand new book releasing on the 16th May -The Unstuck Church. So that should be good enough voices to encourage you to read the book. So what can I add? His life is marked by humility and a simple love for Jesus which enriches his family life and empowers his ministry. I first heard of Tony when I attended a breakout session at a Purpose Driven Conference at Saddleback Church. He and his friend Tim Stevens talked about Simply Strategic Volunteers (still one of the most practical books with ideas on valuing volunteers I've read) while they were serving at Granger Comunity Church. He then served at NewSpring Church SC before setting up The Unstuck Group. I may not get this right but I believe he has now served over 200 churches of all sizes both large and small and many different denominations. He has a real passion for seeing every local church be all that God wants them to be. To help them to reach more people that are far from Jesus and empower the church to effectively assist people in taking their next step in discipleship. 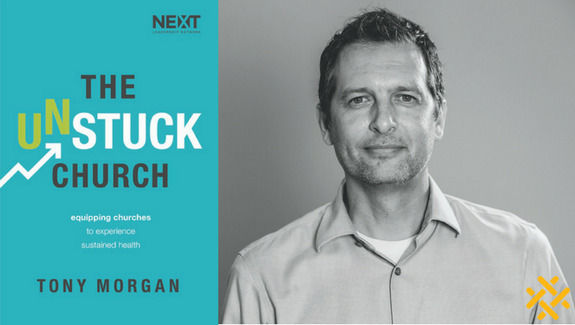 Having experienced Tony partnering with Milton Keynes Christian Centre over the last few years I know he has been uniquely shaped by God to help churches get unstuck, find health and grow. He has the ability to help you get to where you want and need to be quickly, even though you have been stuck in the long grass for a long time unsure of your next step. If you are involved in leading a church, do yourself a favour, buy his book here.